Everest Poker has launched a promotion offering players the chance to win their share of €100,000 for completing Challenges and Missions throughout October. 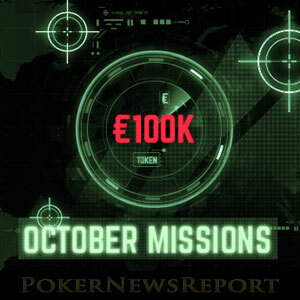 The October Missions promotion on Everest Poker is slightly convoluted and involves a lot of “deposit this”, “play that” and “win a freeroll ticket” (not all with cash prizes), but considering the overall value of the promotion, it is well worth having a go at. 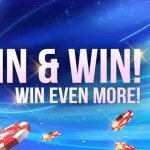 The promotion consists of a series of challenges and missions which rewards players with tickets to daily €1,000 “All-in Every Hand Freerolls” and weekly freeroll tournaments with a prize value of €15,000 or €25,000 depending on the “Mission Week”. Each of the weekly freeroll tournaments is played early on a Sunday evening – which is nicely timed for players settling down for Everest Poker´s Sunday night feature tournaments, and they could result in winning the buy-ins for much larger prizes later in the night! 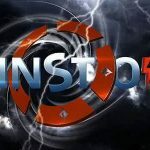 Mission 1 is already underway and requires that players deposit a minimum of €10.00 into their account and play in one “iPOPS Micro” tournament. The “iPOPS Micro” schedule is just coming to a close, and culminates with a €50,000 guaranteed Main Event on Sunday (buy-in just €0.20). However, you will need to play in an “iPOPS Micro” event prior to Sunday if you want to win a seat in the €25,000 freeroll that takes place on 4th October at 6:30pm (BST). The “In the Money” Challenge runs from Monday 5th October to Sunday 11th October and is one of the easiest to complete among all the Missions. Simply cash in any scheduled MTT on Everest Poker to win a seat in a daily €1,000 “All-in Every Hand Freeroll”, and cash in MTTs on three separate days to win a seat in the €15,000 freeroll that will be played at 6:30pm (BST) on Sunday 11th October. Continuing the MTT theme, the third mission runs from Monday 12th October until Sunday 18th October and required that players deposit more than €10.00 into their accounts and play (not cash) in any three scheduled MTTs during the week. 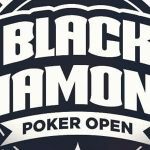 The prize for players who complete this Mission is a seat in a freeroll on Sunday 18th October (at 6:30pm BST) which will give away €25,000 worth of entries to the “iPOPS Mini” Main Event on Sunday 25th October which has a guaranteed prize pool of €50,000. The final Mission runs between Monday 19th October and Sunday 25th October, and requires players to compete in two scheduled MTTs a day to win a seat in that evenings €1,000 “All-in Every Hand Freeroll” (played at 10:00pm BST during the week and at 10:15pm BST on Friday and Saturday). Players who compete in two MMTs on three separate days will also be awarded with an entry into a €15,000 freeroll on Sunday 25th October. If you fancy some live poker action, Everest Poker is hosting qualifiers to two live poker events taking place in Europe this autumn – the €200,000 Mega Poker Series Grand Final in Rozvadov between November 12th and November 16th, and the Master Classics of Poker in Amsterdam from November 16th to November 20th. A comprehensive range of satellites and sub-satellites start from just €1.00 for both events, and Everest Poker is guaranteeing a minimum of ten packages (including Main Event buy-in, accommodation and spending money) to the Rozvadov event, and twenty packages to the Amsterdam event. Fortunately the Amsterdam Main Event has two Day 1s, so you could wrap up the final table in the Czech Republic on the 16th November and fly to the Netherlands in time to enter Day 1B of the Master Classics of Poker! Are You Up to the Everest Challenge? If you are not already playing at Everest Poker, you could be missing out on some excellent opportunities to add to your bankroll and compete in some of Europe´s best live poker events. 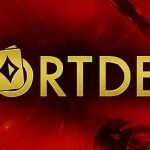 Everest Poker currently offers new players a healthy 200% bonus on new deposits, plus a whole range of other benefits which you can read about on our dedicated Everest Poker bonus page. Everest Poker has a reputation for soft players and easy tournaments. With the chance to win your share of €100,000 in the October Missions promotion, this could be the ideal time to start your Everest Poker experience. Are you up to the Everest challenge?